Building on the hugely successful iDonate platform, sports clubs, schools and local causes across the country use iFundraise Fundraising to raise funds. The service is in operation since 2013 to assist sport clubs, schools and community groups in online fundraising. In addition, the aim of the system is to provide online fundraising tools to help raise funds for needy causes. 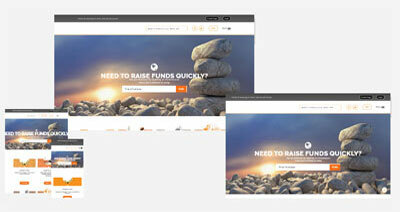 Fundraisers can very easily set up online fundraising pages using the step by step website assistance. As a result, those pages will allow the public, family and friends donate to the particular online cause. The fundraising service also provides promotional tools to help fundraisers give exposure their fundraising pages. Anyone can easily register a Cause on system and accept donations directly through the iFundraise website or through their own website. A free Facebook donation widget is also available for a cause Facebook page. All donations go through Realex Payments for secure processing. All donations put through the website are transferred directly to the Cause on a monthly basis. iFundraise Fundraising is part of a suite of fundraising services, including iDonate for registered charities.